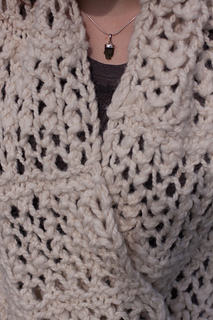 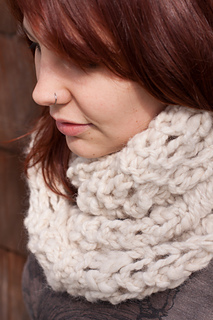 This cowl was created from a challenge to use some very lovely super bulky hand spun llama wool. 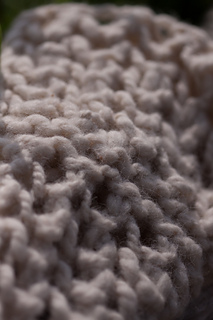 I wanted to create something that would show off the rustic texture of the wool while also being versatile, light and airy to offset the thick warmth of the fabric once knitted up. 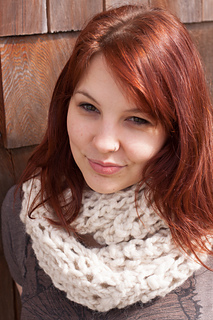 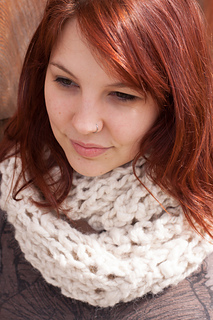 The result was this lovely cowl. 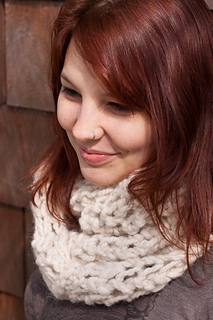 Loop it around once for a lighter spring cowl, double loop it to keep yourself cozy for those chill Spring winds or loop once around your neck and once over top your head as a hood for some extra warm protection for those times when Winter seems to linger. 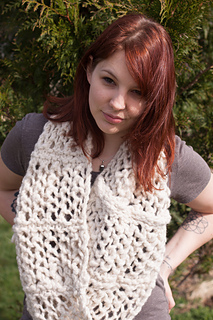 This pattern is easy enough for the adventurous beginner who would like to try lace for the first time and it knits up very quickly for instant gratification. 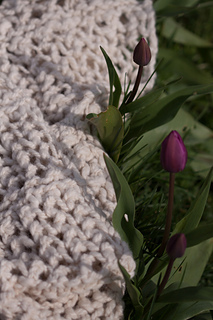 Materials: Approximately 140 meters of super bulky yarn.